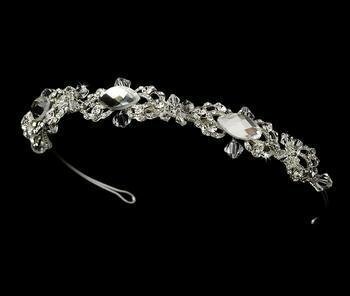 This artistic bridal headband glitters with geometric rhinestones, rhinestone encrusted silver buckle details, and Swarovski crystals. 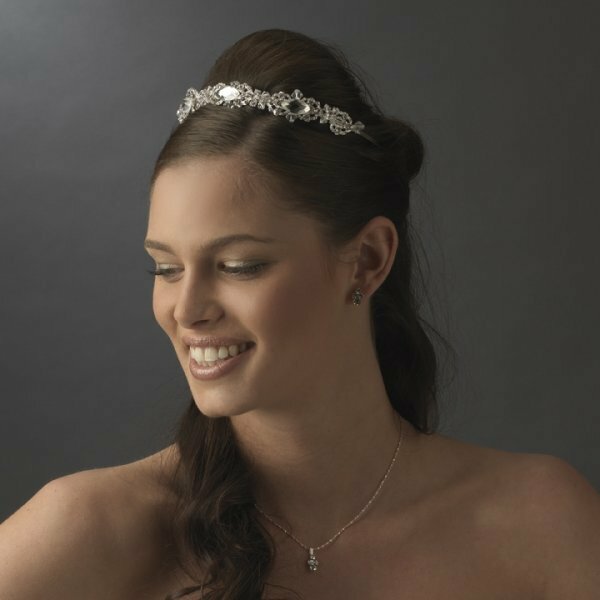 A lovely addition to any wedding hairstyle. Suitable for both the bride and bridesmaids. 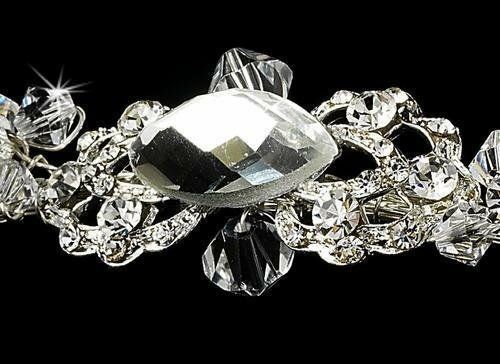 The ornamented portion of the band measures 22 cm wide and 2 cm tall.